Impromptu Travel Plans are the best! I relish re-visiting places. Given an opportunity, I love going back to the same locations and places to relive old memories. 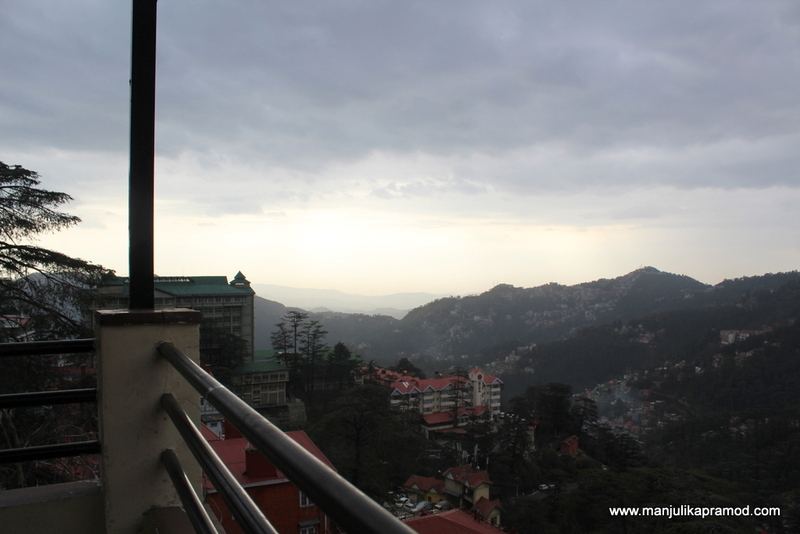 Recently, when hubby and his friends were zeroing on a getaway to make the best of their extended weekend holidays during the festival of Holi in March, I blurted out Kufri and Shimla. Deep down I wanted it to happen but I knew they would all throw tantrums and say, ‘You shouldn’t be giving us such cliched places, you are a travel blogger. Why don’t you give us something else.’ But to my surprise and happiness, they dint give me any of these and went ahead with the planning. In fact, in the next two hours my idea was not only accepted but we had worked out on our dates of travel, decided the mode of transport, booked our rooms in Kufri and had run through a rough itinerary too. If you have such friends, what more do you want. Touch wood! 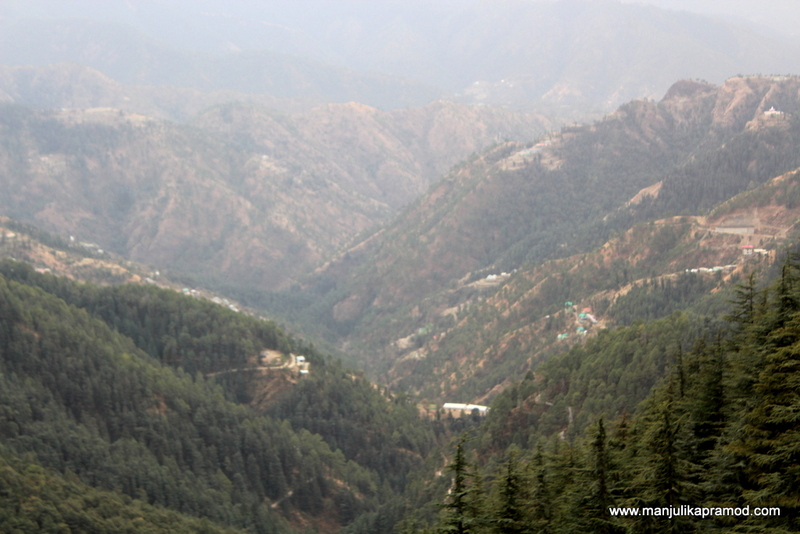 Shimla has reigned as the queen of hills for decades. It is hard to find a North Indian who hasn’t been to this capital city of Himachal Pradesh in India. I am sure a lot of us have childhood memories from there. Almost two decades ago, I had been there with my parents. A few years ago, I had been to Shoghi (13 kilometers before Shimla) for a travel assignment but I had never visited Kufri before. 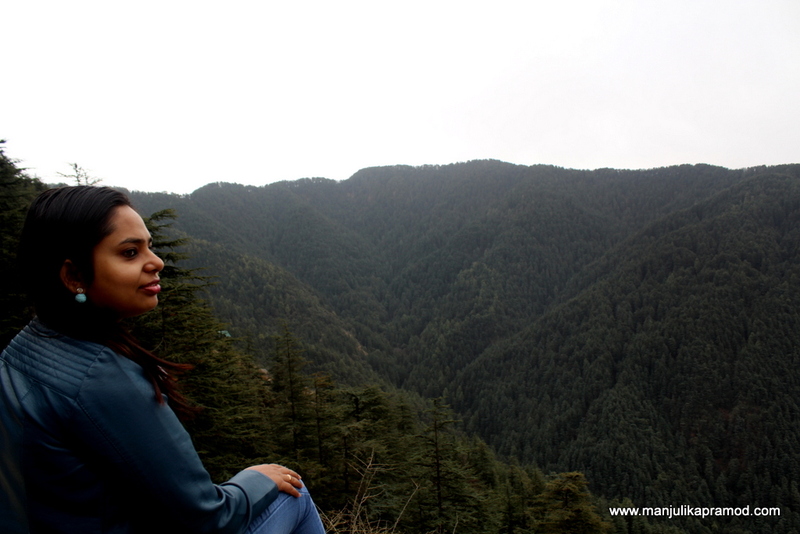 Despite being warned that everything was getting commercialized in that region, there wasn’t much to do except pony rides, scenic beauty and valley views, I still wanted to enjoy the panoramic views of Kufri and indulge in the familiar vibes of Shimla all over again. We were more excited about the road trip and having fun with the gang. I was really looking forward to this trip to escape the din of the city. The excitement of travelling through mountain roads, overcoming the hair pins bends, twisting and turning, taking those random breaks for eating, chatting non-stop, enjoying the sunny moments and then reaching the final destination makes road trips super fun. They also give us the comfort of stopping whenever and wherever we want. Just that it is tough to find clean loos in India when you need them most. Stopping by for food and fun! I love the mountains for the panoramic views. We city dwellers, especially Delhiites tend to develop a bond with the mountains as we have a proximity to lot of scenic mountain terrains in Himachal Pradesh and Uttarakhand. Another plus is that these places are accessible through roads and thanks to car rental service providers, it has become all the more easier to make them a part of our weekend getaways. Finally, the dates of our trip arrived. We had booked an Innova from one of the car rental in Delhi and had requested for a pick up at 5 a.m. from Faridabad. We picked our friends from South Delhi and made our way towards the first pit stop, Sukhdev Dhaba in Murthal. For the Punjabis on board, no road trip was considered complete without making a mandatory touchdown at Murtal for its tandoori paranthas served with white butter. In no time, we were all drooling over our lavish breakfast. We were also very happy about the fact that the early morning run had been a good idea. It had helped us cut through the city traffic and rush hour jams. We were looking forward to reaching Chandigarh by 9:30 a.m.
Shimla is generally considered to be some three and a half hours away from Chandigarh. Since Kufri is at a higher altitude some 20 kilometers away, we had estimated an additional extra hour. We were aiming to reach our resort by 2 in the afternoon. Trust me, the calculation, the run, the weather, everything turned to be in our favor and bang on, we checked in the hotel at 2:15 p.m. After a quick lunch, we decided to take some nap and meet again for evening tea. The plan was to ride up further and explore Kufri. Did you know that the average altitude of Kufri is 2,743 metres (9,000 feet) and it gets its name from a local lake called Kufr? I love making notes of these little facts during my travels. It is said that the rains are auspicious but when they come unannounced in the mountains, one really doesn’t know what to do. Something similar happened with us in Kufri. When we got up at 4 p.m., it was raining heavily. The temperature took a dip and our plans went for a toss. The heavy grey clouds predicted more rains for the next few hours. We consulted the hotel staff for places that we could visit in the evening but they suggested that we should make a trip to Shimla (14 kms away) because it was not safe to go anywhere else. We knew Kufri is a place to rest and relax but we dint know that the rains would wash away our itinerary and make us all the more relaxed. 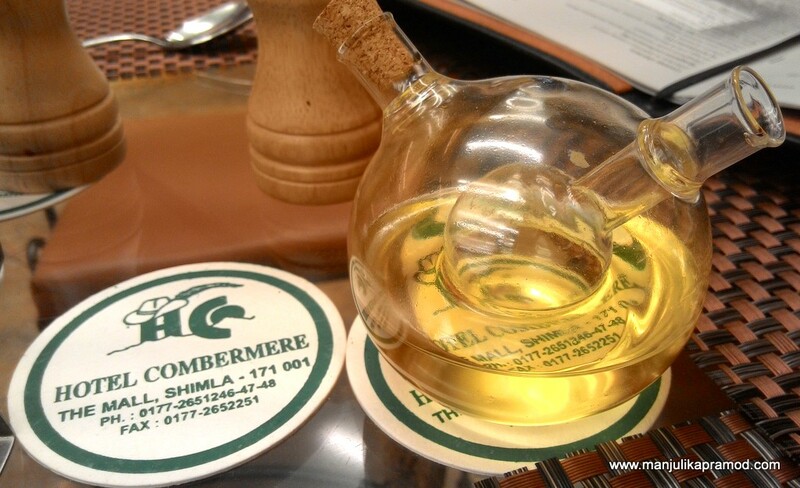 That evening, it rained on and off and we lazily walked around the mall road, sipped hot coffee, ate the local delights and dined at a newly opened restaurant of Hotel Combermer, only to return to our hotel by 11:30 p.m. The second morning promised a clear day. 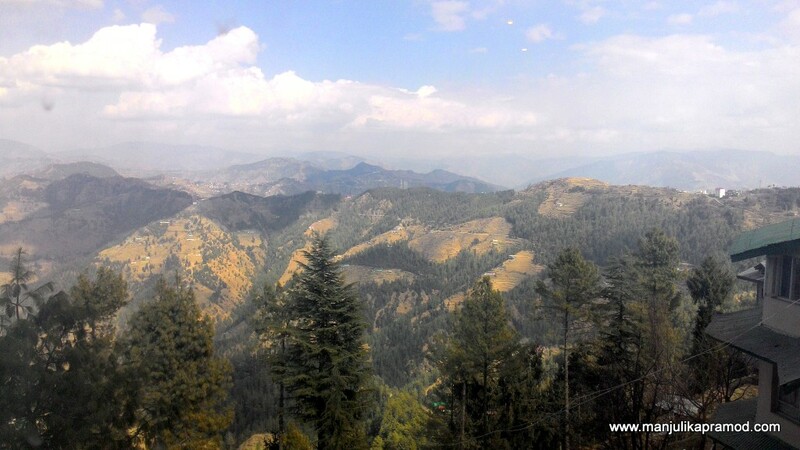 We decided to explore some of the places in Kufri and visited the nearby view points. No matter how boring or repetitive it may sound but once you are in the mountains you can’t do without stopping to have Maggi at the roadside or getting clicked with yak or stopping at the designated photo points to swoon over the views of the valley. All of this and random clicks here and there kept us busy in the day. Horse riding is a highlight of Kufri but we couldn’t give it a try because of the rains. But if you have kids, Fun World of Kufri is a good option to explore. You have to ride a pony from the main road after parking the vehicle at a designated spot. The pony carries you to the hub of number of activities. 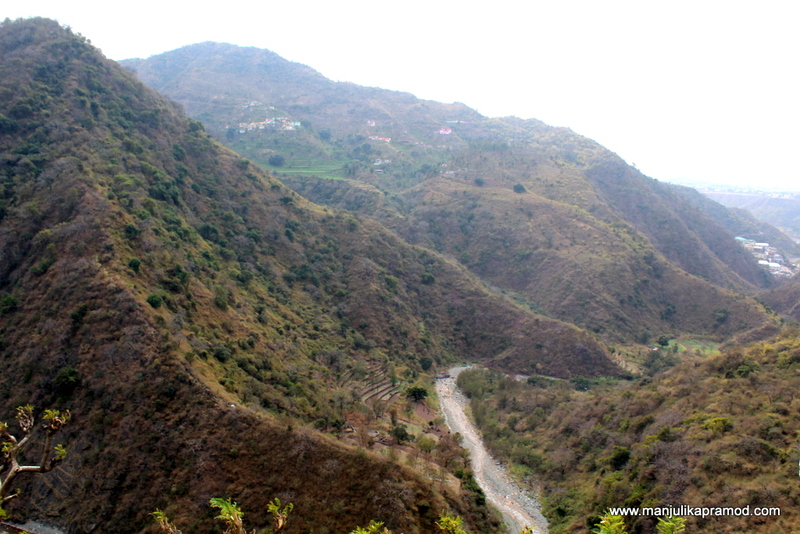 To establish spiritual connect with the place, we visited Nag Mandir which promises great views. I wanted to visit the Himalayan wild life zoo but we were short of time. It is famous for its rare antelopes, felines and birds. We had decided to do take a ride to Fagu (6 kms from Kufri) and the apple orchards there but at the last minute we had to change plans due to the change in weather. Mahasu Peak claims its name to fame for being the highest point in the region of Kufri from where ranges like Badrinath and Kedarnath are clearly visible. It demands a short hike. 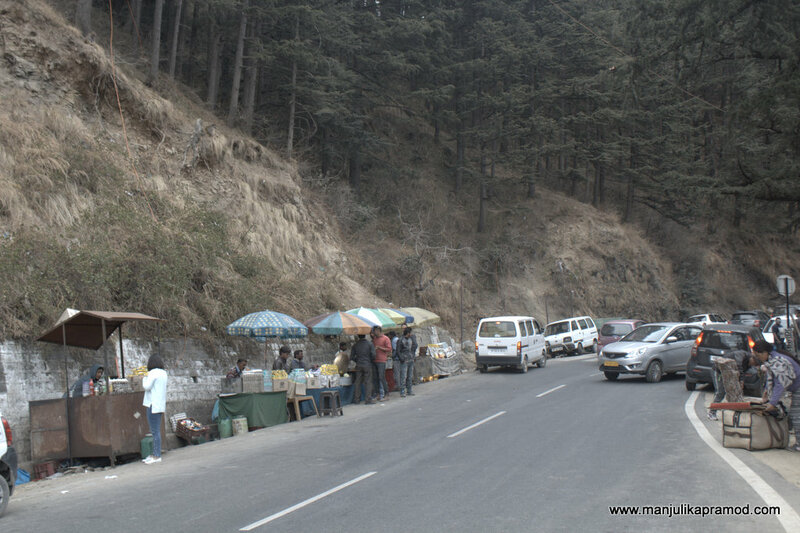 Since we had rented a car, we had the luxury to stop at any point and enjoy the much loved Maggi of the hills. The views of the valleys and the carpet of oak and pine trees brings me back to the mountains again and again. We couldn’t touch upon a lot of attractions because of the rains but we did a lot of fun by sipping huge cuppas of hot chocolates, playing UNO in the hotel room, fighting over chess and carom in the activity rooms. 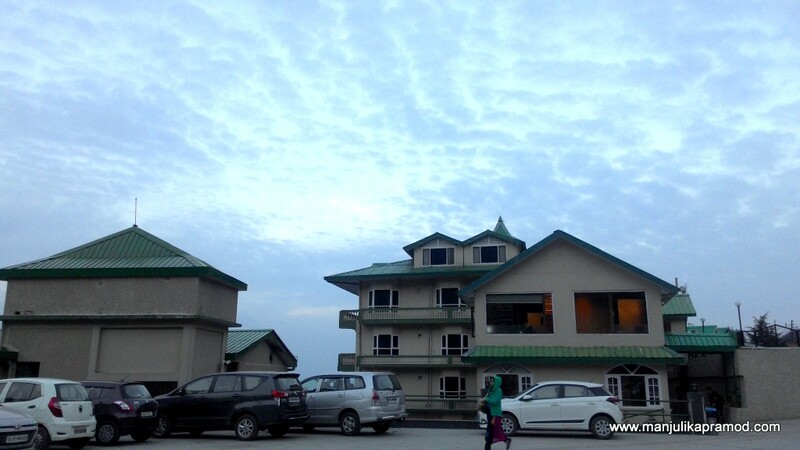 But if you are visiting Kufri in future, I have listed a couple of things that you might be interested into. The list goes like this, Kufri fun world, Indira Tourist park, Trans Himalayan Jeep Safari, Adventure Park, Apple point, Nag temple and Kufri zoo. 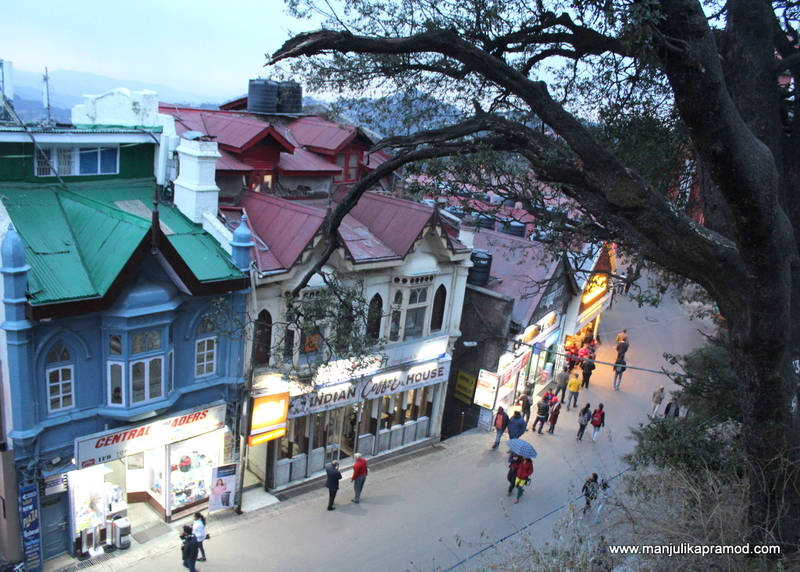 Heritage Walk in Shimla is a must do. It will refresh all the old memories and add a number of new things to your list. You really don’t need a tour guide for this walk. I read through the signboards and kept asking the locals. Each one gave me the way to another. 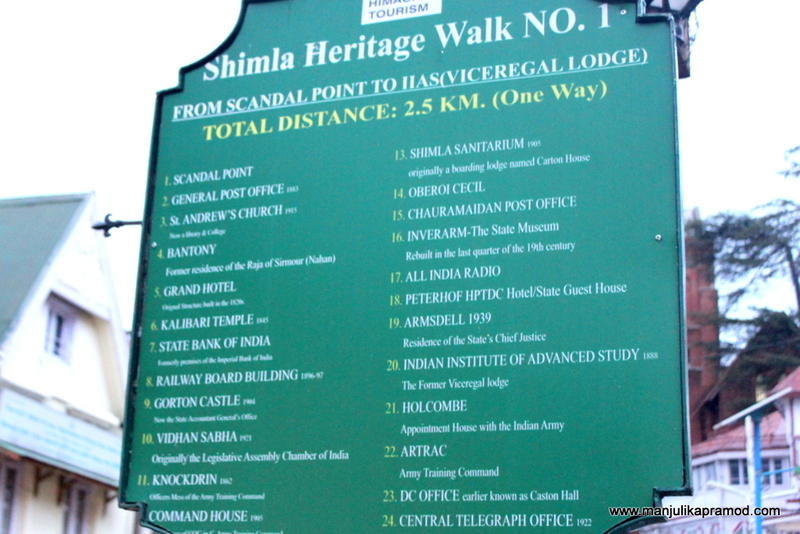 Heritage walk in Shimla – This one can be done on your own at your own convenience. 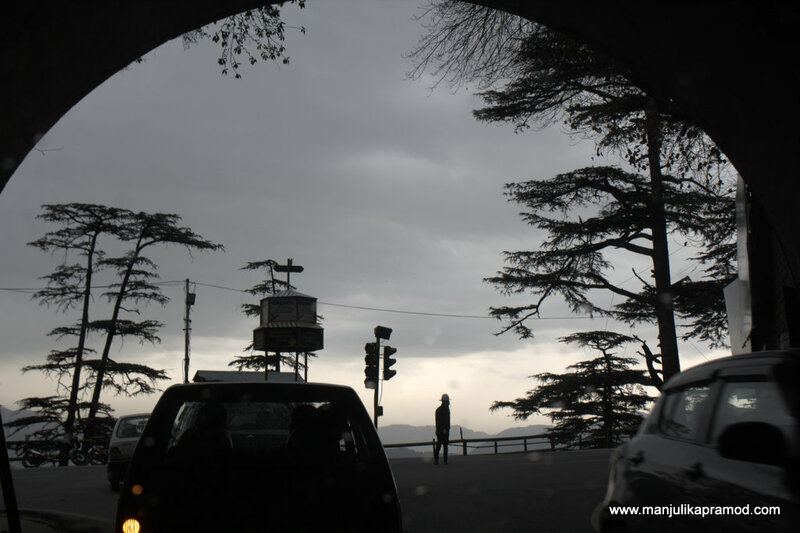 I am sure we all have our childhood memories from the Mall road of Shimla? No one loves to say goodbyes to beautiful places but trips do end. After spending three joyful days in the lap of nature, it was time to return home. 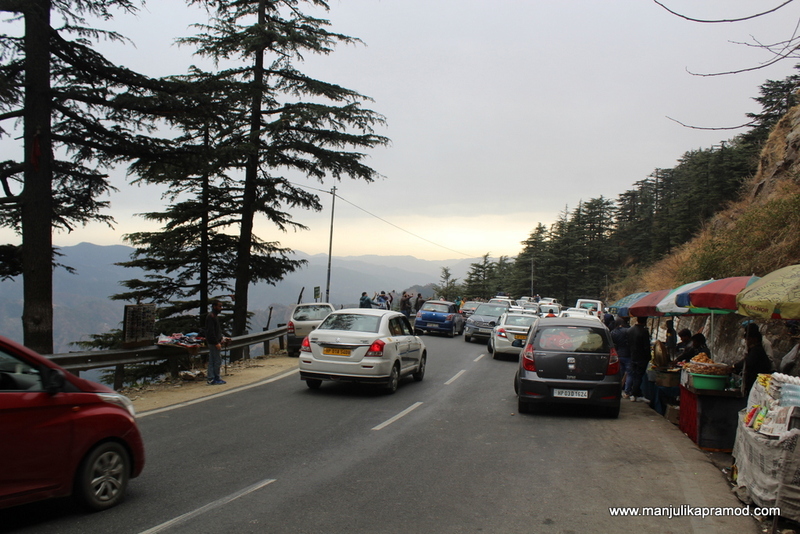 Overall, it was a great trip and we still talk about the unexpected change in weather, that night trip to Shimla and the panoramic views of Kufri.